Google made big news this week when they bought Waze, a crowdsourced navigation app (iOS and Android) that completely rocks. 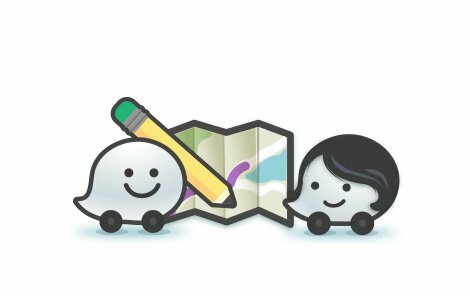 When Apple and Google were fighting over the #1 spot for mobile map apps, Waze drove up and charmed us all. Like its mainstream competitors, Waze offers turn-by-turn navigation to get you where you want to go, but instead of relying on a database of maps and official traffic reports, Waze lets its members report real-time delays, speed traps, accidents and other road hazards. If I had someplace to commute to, I’d use Waze every day. When you program in your home and work, the community of users will help you avoid traffic and trouble. Waze encourages chattiness and helpfulness with a point system, plus it connects with your social networks to let you and your friends keep tabs on one another. I like the feature that allows you to send anyone a trackable update on your ETA. Of course, if you’re at the cupcake store and don’t want anyone to know, you should turn this feature off. Like GasBuddy, Waze helps you find the lowest prices on gas in your area, with data available from other members as well as Yelp, FourSquare and more. And the service also lets you collect coupons and specials from participating merchants during your travels. If you’re looking for a Waze-type guide for public transportation, Moovit is an international resource for real-time updates from fellow passengers. In 2013 Moovit is available in select cities in about a dozen countries and growing. 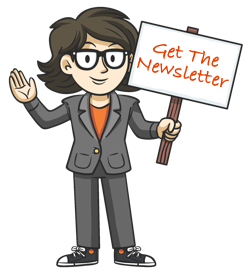 Waze made Beth’s Top Travel Tools list!